The year is 1962 — ‘Osagyefo’ Dr Kwame Nkrumah in his quest to rule Africa as a united front has summoned his right-hand man, Ohene Djan to hold a tete-a-tete. He’s making great strides to establishing Africa united but simultaneously faces an uphill task – what must he do to please his own countrymen? But why would a reigning President and the most influential leader on the continent at the time, be in dire need of pleasing his own people or at least an appreciable section of the populace? The football fraternity. It had just been over five years since he chalked the monumental landmark of achieving independence for the first sub-Saharan country. He was the beacon of Africa. The strong-willed leader, who was achieving milestones in politics and national development, was becoming somewhat unpopular within the football family for reasons not farfetched. It all started on 1st July 1960 (Ghana’s Republic Day). 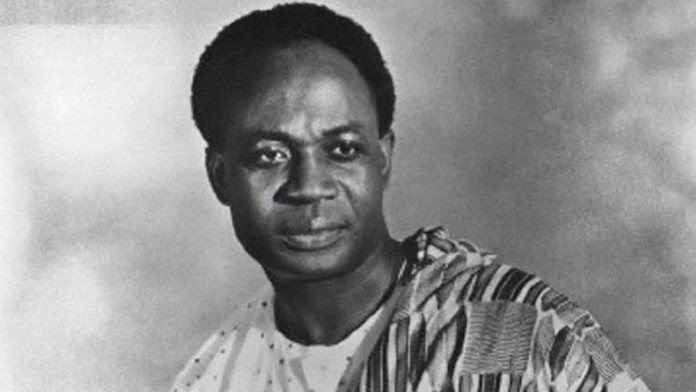 A new ministerial portfolio had been created, as Kwame Nkrumah assumed the role of the country’s first ever President. 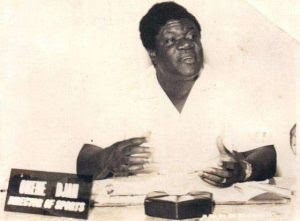 Ohene Djan was made the Director of Sports, he had been Chairman of the Ghana Amateur Football Association (GAFA) since 1957. It was he who led the crusade for Africa to boycott the World Cup in 1966 over unfair treatment. Africa, Asia and Oceania had to compete for a single slot. As a pan-Africanist, Osagyefo found it discriminatory. Again, he organized the West Africa Football Cup in 1959 and birthed the Black Stars in the same year. He also set-up the iconic Central Organisation for Sports in 1960, that would oversee all sporting events in the country. With Ohene Djan’s appointment as Director of Sports, Osagyefo had appointed an experienced figure who could execute his ulterior motive almost flawlessly. He had his man and he too knew exactly what was up his sleeves. The Head of State wanted to form a football club that would symbolize a united Africa and the glory that it could possibly bring. An assembly of the best footballers across the country, capable of toppling Kotoko-Hearts duopoly. He tasked Ohene Djan with that assignment; building an impeccable side that will function as a quasi-national team and represent what he (Osagyefo) truly stood for – African unity. He found football the convenient tool. But that was not to be, to a degree. Ohene Djan, tactfully executed his master’s plan by drafting two of the best players from each club in the country to form a star-studded side, a dream team. These players were provided employment and shelter by Djan and Osagyefo himself. Some sort of luxury. As though, that wasn’t enough, they formed the core of the national team. Some worked with the Fire Service, Farmers Council, Workers Brigade and the Sports Council. They were paid as workers and Osagyefo ensured that, just like the army, they were always ready to deliver when called upon and treated with dignity. Their name? The Real Republikans. A model club and a name that had shades of that generation’s super-club, Real Madrid. Ohene Djan just like Osagyefo, knew exactly how to get what he wanted with little regard for others, but that was his Achilles heel. He was obviously doing his master’s bidding anyway. Eventually, he incurred the wrath of teeming fans who helplessly watched their club’s best players being pried away by a force that no-one could contend. It was display of sheer prerogative. Attempting to withstand it meant waging war against the state. The powers that be were insurmountable. The friction from fans wasn’t enough to deter Osagyefo and Djan from forming their pet club. Real Republikans were now full-fledged and ready to compete by 1961. An assembly of the best players in the land – crème de la crème. Dream team, Real Republikans played in the 1961/62 season but as ‘hors-concours’ and so results pertaining to the club were not counted. It was the beginning of something big, at least for Osagyefo and Ohene Djan. The club was no longer a pilot project but rather a shadow national team. Real Republikans steamrolled the other teams to the league title in 1962/63 by scoring an unprecedented 112 goals in an 18-team league. [The record was only bettered two seasons later, by Asante Kotoko who scored a juggernaut 116 goals]. The team was not just an echelon of stars, it was in verity the national team itself: Doodoo Ankrah (Great Olympics), Fred Crentsil (Sekondi), Kwame Appiah (Sekondi Hasaacas), Addo Odametey (Hearts of Oak), Ben Acheampong (Cornerstones), E.O Oblitey (Great Olympics), Agyemang Gyau (B.A United), Edward Acquah (Sekondi Eleven Wise), Edward Aggrey-Fynn (Sekondi Hasaacas), Kofi Pare (Sekondi Eleven Wise) and Baba Yara (Asante Kotoko). The impressive achievement of Real Republikans in 1962/63 was not even the most outstanding event that season, rather it was Ohene Djan’s answer to the Head of State when the President enquired from him how he could please football fans who felt unhappy with the advent of Real Republikans. Ohene Djan’s reply would change the course of history. He asked the President to invite the team at the very apex of global football – Real Madrid. Alfredo di Stefano, Ferenc Puskas … Yes the indomitable Real Madrid of the late 50’s who won five consecutive European Club Championships between 1956-1960 were invited to compete with Ghana Black Stars – the flagship national team under the tutelage of their long-term admirer Dr Kwame Nkrumah and Ohene Djan. This gesture was to appease aggrieved fans meanwhile Nkrumah found it the convenient medium to make a statement of intent to the whole Africa. With him, nothing was impossible. A lot of work and preparations were put in place. Osagyefo never settled for mediocre and Ohene Djan knew that. Not even in friendly games. August 19, 1962. Ghana Black Stars locked horns with the giants of global football, Real Madrid. The big game caught the world ball-watching and everyone was curious to see how the mismatch was going to pan out. It took a late goal from Yanko Daucik (other dailies reported Puskas) to salvage a draw for Real Madrid. The game ended 3-3. Edward Acquah, Edward Aggrey-Fynn (both played for Real Republikans) and Kwame Adarkwa (Asante Kotoko) were also on target to make Nkrumah proud in-front of 30,000 spectators at the Accra Sports Stadium. What made Nkrumah prouder was the fact that majority of the players were from his pet club Real Republikans and they didn’t disappoint. In-fact, eight of the starting eleven were from Osagyefo’s Own Club, as they were affectionately called. So in-effect, Osagyefo’s Own Club (OOC) had aptly held their nerves against the mighty Los Blancos who had the world at their feet and were led by their legendary President Santiago Bernabeu. Few months later, the telepathy amongst the Real Republikans players was glaring as Ghana Black Stars brushed aside countries with ease to lift the 1963 African Cup of Nations. At this point, Real Republiakans were the backbone of Ghana Black Stars. All talks of Real Republikans’ monopoly had now ceased for the good reasons. The Black Stars stacked with a large chunk of players from Real Republikans impressed in the 1964 Tokyo Olympics by becoming the first African country to reach the last eight. Ghana retained the African Cup of Nations trophy in 1965, by defeating Tunisia. The impact of Real Republikans in the national team could not be over emphasized and such was the pride that filled Osagyefo, albeit he had to step on a few unforgiving toes initially. Even the most irate football fans that were initially distraught had seen the light at the end of the tunnel and had begun piping down. Osagyefo’s Own Club (OOC) was the talk of town and they epitomized the President himself – fearless, ruthless, stoical, bullish and cocky. Amid all the successes, to be fair, not everyone was impressed with the project, especially Asante Kotoko fans and their leadership. The rivalry was deep-rooted. It transcended to the corridors of politics. A constitutional referendum changed the country to a one-party state leading to the dissolution of United Party, an amalgamated party so much loved by the people of Ashanti Region because of their leader Kofi Abrefa Busia and considered the main opposition to Nkrumah’s Convention People’s Party at the time. Asante Kotoko, also widely considered a royalty by people from Ashanti Region, on the other hand, had been threatened to be expelled from the league after their officials stood toe-to-toe with Djan and his administration by being reluctant to release two of their best players: Baba Yara and Dogo Moro to Real Republikans. Football and political rivalries had merged. 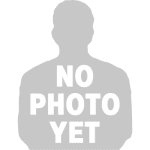 (Other legends from the club who eventually joined OOC: Osei Kofi, Wilberforce Mfum, Kwame Adarkwa, Hans Adu Boakye, Gago Moro and Salisu Mohammed. The Porcupines were indeed a repository of talents). Kotoko were suspended from playing their home games at the Kumasi Sports Stadium for some time in ‘61/62 as punishment for stifling the transfers of Dogo Moro and Baba Yara to Real Republikans. A new club, Kumasi United was formed to use the grounds but they were relegated at the end of the season after finishing bottom of the league log. But that was not the case for Sekondi Hasaacas. They were expelled when they refused outright to transfer their Liberian talisman, Modibo Toe to Real Republikans. ‘The Giants of the West’ first warned Ohene Djan that they were willing to opt out of the league than lose Modibo Toe. Hasaacas went on to keep Modibo out of their games in a bid to ward off any attempts by the player to engineer a transfer away from the club. This infuriated Ohene Djan who brutally replaced Hasaacas with city rivals Ghana Independence from the lower division in the course of the season. Modibo eventually joined Real Republikans, but left for his native Liberia after two years, where he allegedly died in a motor accident. Such was the brute force with which Ohene Djan went about his chores. Although, Djan surrepticiously claimed that Real Republikans had turned onto a new leaf and the club’s recruitment was taking a new twist. This was one of his ploys to make the club look a little more attractive for many angry fans. In the disguised system, players had to submit applications if they wanted to join the luxurious club at the end of the season, however Ohene Djan did all he could to make sure his star players always stayed. Osagyefo, absolutely convinced his project was well and truly underway, went ahead to fund the 1964/65 African Cup of Champions Clubs (what is now known as CAF Champions League), the maiden edition featuring the best teams across the continent just to give his pet club more limelight. Unfortunately, it didn’t go as planned. His Real Republikans lost to Oryx Douala of Cameroon (eventual champions) in Accra. 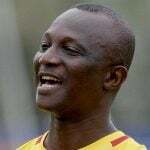 Real Republikans were indeed no Real Madrid as they bowed out at the semi-final stage, much to the dismay of Osagyefo. That would be their only taste of Africa. 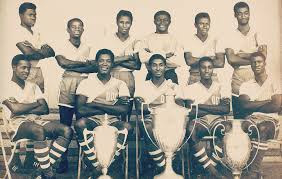 Osagyefo’s Own Club finished 7th and 4th in the subsequent seasons following their triumphant debut season in 1962/63. In both seasons when OOC were losing their grip on the league, Asante Kotoko emerged league winners while their archrivals Hearts of Oak finished 2nd. Real Republikans became the first club to win the same trophy in Ghana’s history for four consecutive seasons. 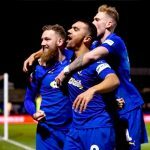 The FA Cup was their birthright. First they defeated Kotoko in 1961/62. The Porcupines were runners-up in the league to Hearts of Oak that season. OOC went on to win the next two editions outright against Cornerstones and Great Ashantis. It is worth noting that, after securing their 4th FA Cup title, rivals Asante Kotoko had won just one while Hearts of Oak had lost two finals. Real Republikans’ achievement in the FA Cup was indeed an impressive feat which took over thirty-years for any domestic club to break. Between 1996/97-2002, Hearts of Oak won the league six-straight times. The Phobians were unequivocally invincible around that period. Till date, only Hearts (10) and Kotoko (9) have won more FA Cups than the no-longer-existing Real Republikans even after their extinct over half a century. It’s in the early hours of February 24, 1966 — It’s not a normal day. The national Radio Station’s transmission has been interrupted by a group of men. First announcement came around 5:30am asking all and sundry to stay by their radios for an important announcement at 6am instead of the usual morning news. Not even the early bird is willing to move out of its perch. Time has halted and sleep has eluded all. Fear has gripped everyone. Osagyefo’s government is over-thrown in his absence by Major General Kotoka and General Afrifa [as well as General Ankrah]. His desire for African unity had come to an abrupt end while he was on a visit to China. His authoritarian leadership style was his undoing, apparently. The President would take asylum in Guinea until his demise some six years later. Real Republikans had become so powerless by default. The ghost had left them. The center couldn’t hold any longer. Even more, the club is dissolved by the military regime – which was a no-brainer given the public clamor for them to be disbanded at various times amidst punctuations of successes as a shadow national team. (A good number of their players joined Hearts of Oak afterwards, on Ohene Djan’s advice whose friend General Ankrah was affiliated with the club: Ofei Doodoo, Kofi Pare, Adoquaye Laryea, Adu Darko and Addo Dametey). The most powerful club in the land would not grow to become nouveau Real Madrid, neither would they exist to see the dawn of a new era nor how their antagonists Asante Kotoko would go on to rule Africa in 1970 and ‘83 (something Osagyefo had always dreamt of achieving) nor how Hearts tore everyone apart in 2000 or oddly enough, how the Black Stars have struggled to win the African Cup of Nations trophy in over 35-years but still held the nation to ransom in 2014 World Cup. Real Republikans never had the love, respect and dignity they craved for. They had just a handful of supporters, but their absence was felt soon after they were disbanded. It took Ghana 12 years to win another African Cup of Nations trophy and the country has won just 2 since the club was abandoned some 52 years ago. It is often said that Osagyefo’s Real Republikans were a true representation of his persona, whose colossal impact could never be downplayed or fully ascertained. The nation has certainly never witnessed a more influential character – neither has it witnessed a more domineering club in its annals. The legacy of the most powerful football club that existed for only half a decade, Real Republikans and their impact on the national team is one that can never be fully erased and still lives on.